DELIVER PERSONALIZED SUPPORT ON ANY DEVICE. Customers are more mobile than ever before. Arm them with personalized support in every device. 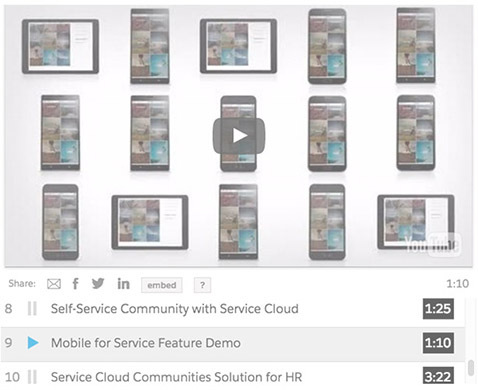 With Service Cloud, you can embed customer support into any mobile app. And with Salesforce1, employees can access cases and service metrics on the go to help customers fast.